Join a team of creative thinkers passionate about the visual arts, teaching, and learning. Visit the Williams College website to learn more about our open positions. 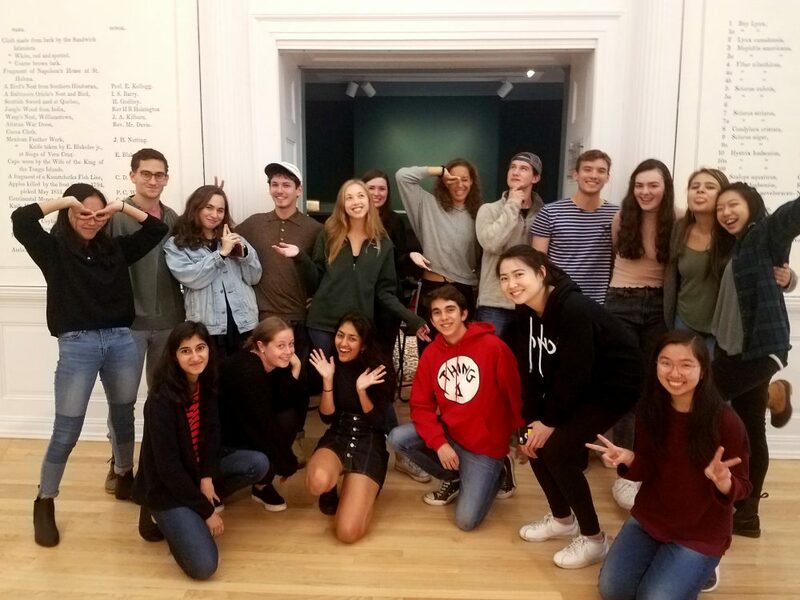 Agents for Creative Action is a group of sixteen Williams College students who animate the museum’s collection and convene the public around art and ideas. They meet weekly on Mondays from 4-5:30 to learn about museum practice as creative process and develop original programs, content, and projects that offer visitors new ways of engaging with the museum. Learn more. Email Hadley DesMeules to learn more. Students in the Williams Graduate Program in the History of Art work directly with a museum staff member throughout the academic year for eight hours a week. Interns are invited to all meetings—from curatorial to internal acquisitions—as well as special moments with visiting artists, scholars, and museum professionals. Culminating projects include teaching in the Rose Object Classroom, presenting at a curatorial meeting, or curating an exhibition. Graduate Internships are paid positions. Contact Elizabeth Gallerani for more information. 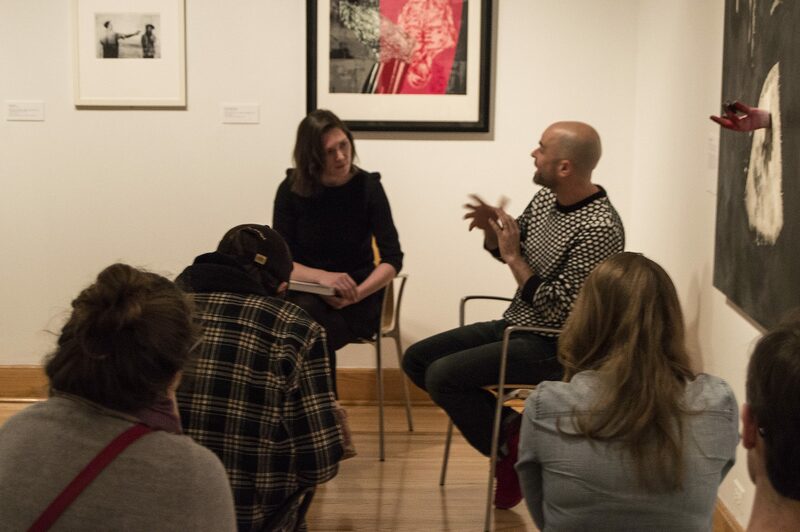 Anna Kelley MA ’17 leads a gallery talk with artist Matthew Ronay in the exhibition she curated, State of Disobedience.